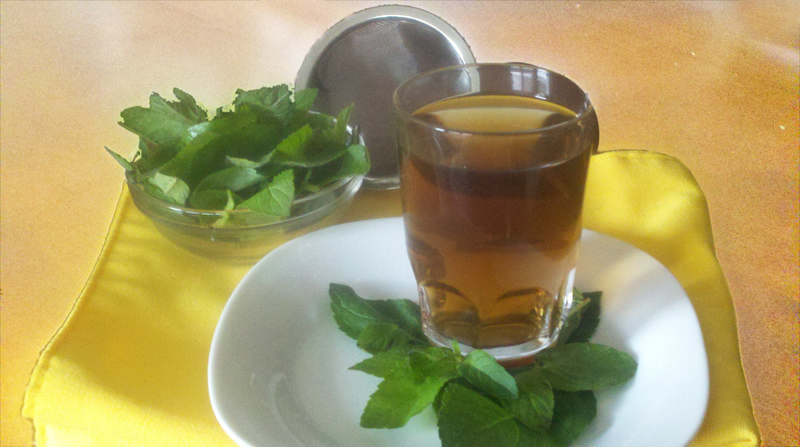 For an authentic experience, have your tea in a small glass the way it’s served in many places throughout Greece. You can add sugar, honey or lemon. I happen to like mine as is. Let me know which is your favorite! 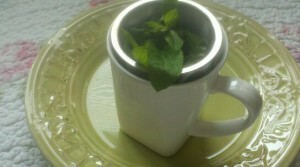 Mint tea is not only good for you, it’s tasty hot or cold. When mint is in season, try to use fresh mint leaves. Yes, they can take over your entire garden but it’s great to have on hand. Fresh mint leaves brew up a deeper color tea and, I think, have a much more intense flavor than dried. Let leaves steep 5-10 minutes depending on your taste. I like a good ten minutes but no more or the tea will become bitter. 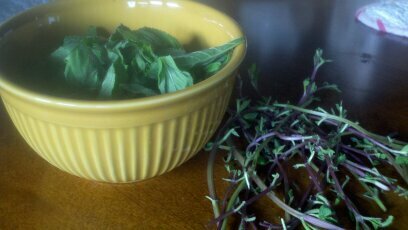 When making a large batch, I add the leaves loose into the boiling water. When making a single cup, I use a deep tea basket that fits right over my cup. 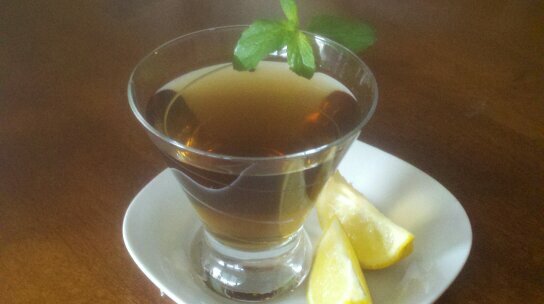 If you like sweet tea, instead of adding plain sugar, add simple syrup (recipe below) until you get desired sweetness. This gives your tea a much smoother taste and is perfect for entertaining. 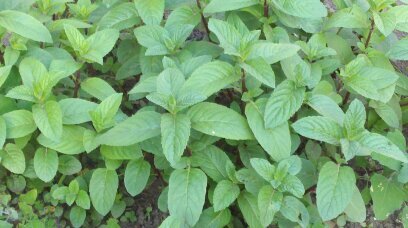 Remember when you use fresh mint to rinse it well and pinch the leaves away from the stalk so that the leaves have little or no stem attached. The stems are bitter so the fewer you have the tastier your tea.